Swanson's has been the local bait shop in Hackensack for generations. Originally known as Cline's Minnows. With its distinctively painted rocks on the front of the building. Cline's was the place to stop for all of your bait. Cline's was purchased by Ed and Marcia Swanson in late 1970. Ed and Marcia continued the tradition, and the business flurished. 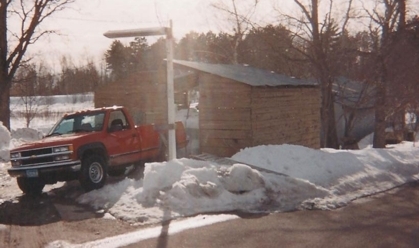 The rock faced store was replaced with a 2000 square foot, log building in 1981. Some may remember the ice house, that sat next to the building, filled with large blocks of ice and covered with saw dust. 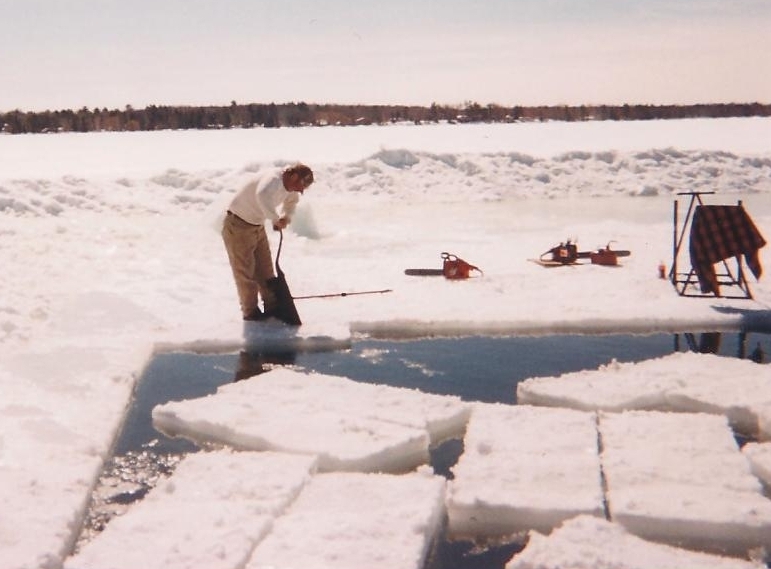 Those blocks of ice were cut, during the winter, from Birch Lake, and stored. To the amazement of many, the ice was cut and weighed for customers' coolers over the summer months. In 1995, Ed and Marcia sold the business to Jim and Lisa Tuller. Jim and Lisa have also continued the tradition, and now serve another generation of visitors to the Hackensack area. The building was expanded to its current 6000 square feet of space over the last fifteen years. In addition to a full line of tackle and fishing needs, Swanson's now has 2000 square feet of clothing and gifts focusing on the local lakes. In 2017, Jim and Lisa sold the business to Dean and Chris Garoutte. Dean and Chris, and their two boys, look forward to keeping Swanson's the long time traditional stop for many. 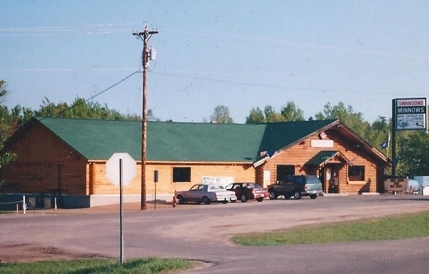 Stop in, talk with the friendly staff and find everything you need while you are up North. Over the many years and generations of customers, Swanson's will be first and foremost the place to stop for your bait and tackle needs.